OurCreative. 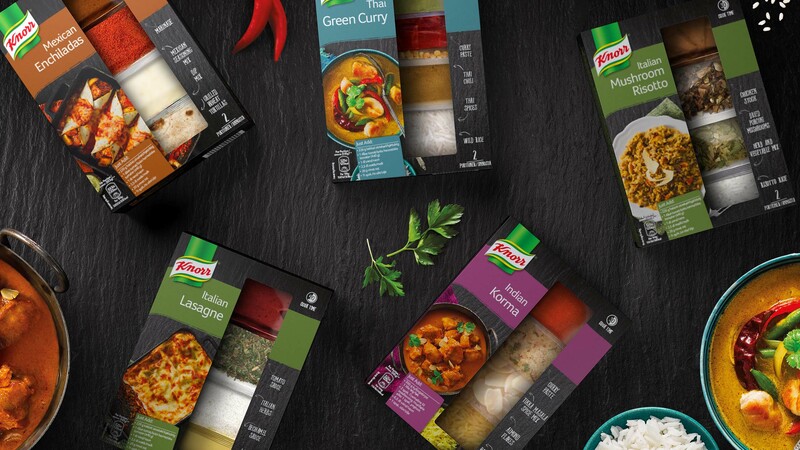 - Knorr Meal Kits. We worked collaboratively with internal stakeholders to create new NPD ranges to shake up the market in the premium sector. 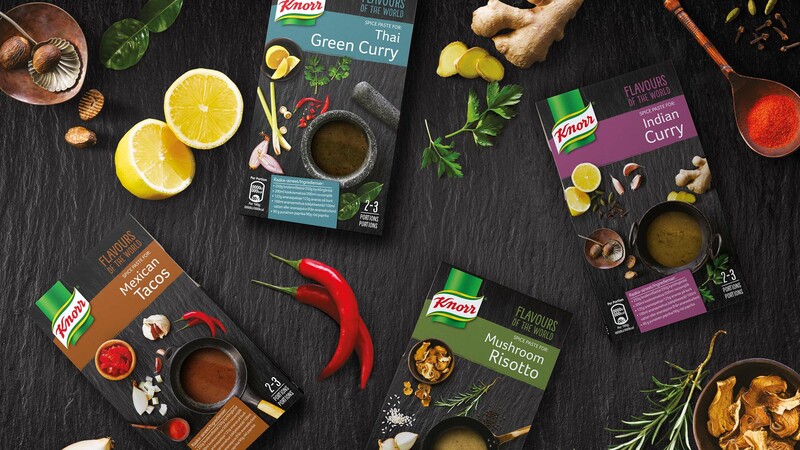 The Knorr global team asked us to help launch its premium meal kits into Northern European markets with an exciting and inspiring design that would encourage scratch cooking. The range, aimed at Millennials, gives them the chance to recreate exotic and authentic flavours from around the globe in their own kitchens. The range features flavours form around the wold including, Italian Lasagne, Mexican Enchiladas, Thai Green Curry, Tikka Massala Indian Curry and Italian Risotto. We designed the packaging to reflect the premium nature of the product and convey its authenticity whilst ensuring the delicious food photography looked mouthwatering, disruptive and innovative. A contemporary design that taps into Millennials’ desire to experiement with great quality ingredients at home.